Areas of research expertise: Child disability; intellectual disability; autism spectrum disorders; Down syndrome; Rett syndrome; CDKL5 disorder; MECP2 Duplication syndrome; rare diseases; pre-term birth; population-based linked data; databases; disability health and wellbeing; child maltreatment. Dr Leonard has qualifications in medicine and public health, is a Principal Research Fellow at the Institute and has just been awarded a second NHMRC Senior Research Fellowship. For twenty years her clinical practice primarily involved the management of children and adults with intellectual disability. Working in this role she saw the major need for epidemiological, clinical and multidisciplinary research in this area. Consequently, she established a population-based intellectual disability database in Western Australia, which, with its linkage to other WA population-based databases, is providing extremely valuable ongoing research output. She is also a member of an exciting and innovative autism registry collaboration, with the infrastructure to undertake pooled analyses of international data, and now funded by NIH as a “virtual and global” Autism Centre of Excellence. 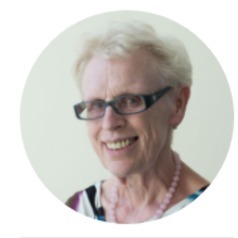 In 1992 she set up the internationally unique population-based Australian Rett Syndrome Database and has maintained this register since that time. In 2002 she established the International Rett Syndrome Foundation Phenotype Database, InterRett and in 2012 the International CDKL5 Disorder Database.